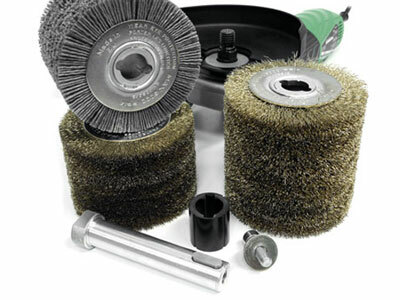 Rollers with filament in Abrasive Nylon or Steel for satin finishing, sanding, process wood, iron, stone and marble. With connection for mounting on Brushing Machines of type Makita. 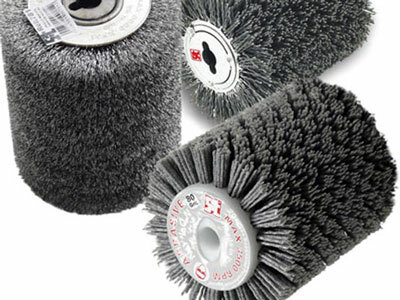 Roller Brushes in abrasive nylon, with filaments or iron brass-plated, can be used for processing, wood-aging, satin finishing, sanding iron, stone, marble and wood. 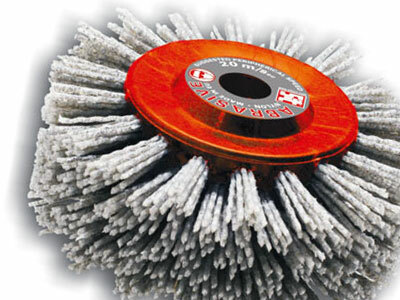 To be used with specific spacer for mounting on Brushing Machines of type Flex. 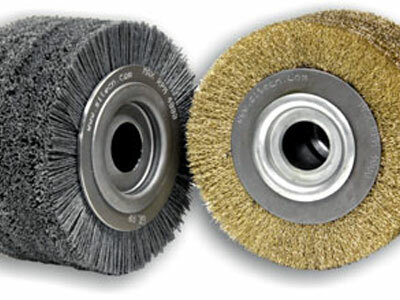 Roller Brushes are ideal for cleaning and preparing surfaces, for wood-aging and the removal of paint from wood. Perfect for the removal of graffiti from walls. 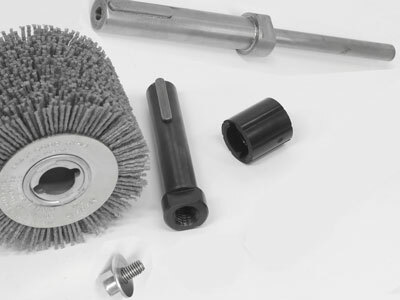 Designed for mounting on Brushing Machines of type Festool. 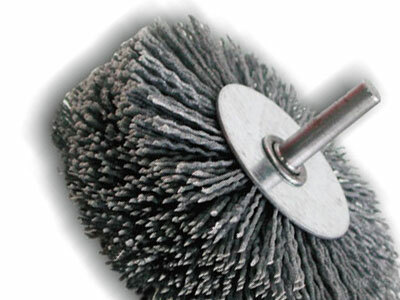 Circular brushes G100D are ideal for the processing of wood, its cleaning, paint removal, bark removal, wood-aging. Can be used to process any shape/trunk.